THE Bahrain LNG Import Terminal, a strategic project to supplement domestic gas production and ensure that its demand is met, is expected to be up and running in the second half of 2017, says Sheikh Mohammed Bin Khalifa Bin Ahmed Al Khalifa, chief executive, nogaholding. The terminal will be developed on a build, own, operate and transfer (BOOT) basis with a long-term concession, Sheikh Mohammed told OGN in an exclusive interview. During 2014, nogaholding – through its operating companies – ensured that gas supplies to the nation were consistent and reliable meeting one of the major Noga and nogaholding strategic objectives, he says. On the Bahrain refinery modernisation, he says the future refinery configuration is one of areas that has potentially been identified to provide high return investment. The objective is to increase the complexity of the refinery such that the competitiveness of the refinery will be world-class, and the profitability of it will be immune from the business cycle troughs. Regarding petrochemicals, work on the project to expand the capacity of GPIC has been in progress. Expansion of the plant aims to provide fertiliser supply for the ever increasing global demand for food production. Further to the strategic investment in portfolio companies, which takes years to develop, nogaholding is also in the process of studying potential high return areas in the petrochemical industry value chain, he says. What were the highlights of nogaholding’s performance in 2014? The portfolio companies were operated with high reliability and an outstanding level of safety performance was delivered. nogaholding also continued to play a vital role in promoting best practice and encouraging operational excellence, risk management and business continuity management within its portfolio companies, aiming to meet or exceed industry benchmarks and contribute to the kingdom’s financial stability. How far has your investment strategy succeeded in terms of finding a horizon that is beyond global economic cycles in the oil and petrochemical industries? The strategy generally focusses on investments both strategic to the nation in order to provide meaningful employment and economies to provide an above industry average overall return. How does nogaholding aspire to contribute to profitable national economic diversification and growth? nogaholding aspires to contribute to profitable national economic diversification and growth by successful management and promoting and achieving sustained excellence from its growing portfolio. nogaholding creates value from existing portfolio companies by supporting and investing in new investments in the oil and petrochemicals sectors. What are the targets set for 2015? nogaholding will continue its successful management of the portfolio and aim to enlarge it with some of the investments to come about to enhance the structure and value of the portfolio. nogaholding targets to continue delivering sustainable earnings and achieve its long-term strategic objectives. Since nogaholding believes joint venturing is the route to long-term sustained generation of shareholder wealth, which are the sectors do you see JVs being created? nogaholding has always believed in joint venturing as a route to sustained generation of shareholder wealth. At the time of company was formed in 2007 the portfolio comprised four companies, one wholly owned and three partly owned. Post its establishment, four additional companies were added to nogaholding’s portfolio, three partly owned and based on joint venturing. Were gas supplies to the nation consistent and reliable in 2014? 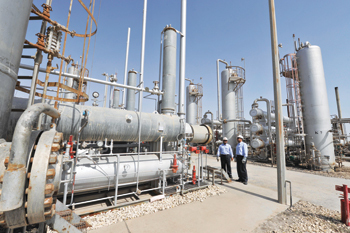 During 2014 nogaholding – through its operating companies – ensured that gas supplies to the nation were consistent and reliable meeting one of the major Noga and nogaholding strategic objectives. Was the financial dividend paid by nogaholding dependable and meet the expectations of the shareholders? As was the case with the previous years, the financial dividend paid by nogaholding was dependable and the financial results were in line with the shareholders’ expectations and market realities. Not only was nogaholding able to provide the planned level of dividend, but also improve the operational performance of the portfolio. What is the deadline set by nogaholding for the completion of the LNG Terminal in Bahrain? The Bahrain LNG Import Terminal is a strategic project to the kingdom to supplement domestic production and ensure that gas demand is met. The in-service date of the terminal is planned for the second half of 2017. What will be the total investment on the terminal? Are you thinking in terms of entering partnerships to fund its construction? The Bahrain LNG Import Terminal will be developed on a build, own, operate and transfer (BOOT) basis with a long-term concession. 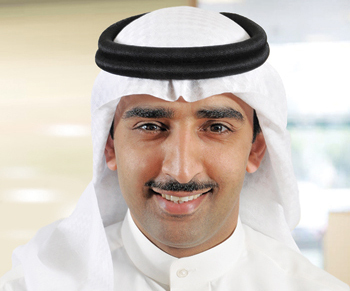 Since currently you put trust in investment focused on Bahrain rather than overseas, where all have you invested in 2014? As you stated and in line with it is strategy, nogaholding’s investment has been focusing on Bahrain rather than overseas. In 2014, nogaholding had carefully reviewed and studied the viability of some of the projects aiming to provide meaningful employment and economies to deliver an above industry average overall return. Which are the high return areas of the oil industry and petrochemical industry supply chain that you have identified for investment? The future refinery configuration is one of areas that has potentially been identified to provide high return investment. The objective is to increase the complexity of the refinery such that the competitiveness of the refinery will be world-class, and the profitability of it will be immune from the business cycle troughs. Regarding petrochemicals, work on the project to expand the capacity of GPIC has been in progress. Expansion of the plant aims to provide fertiliser supply for the ever increasing global demand for food production. Further to the strategic investment in portfolio companies, which takes years to develop, nogaholding is also in the process of studying potential high return areas in the petrochemical industry value chain.